Over 100 people heard a positive organisational overview of the milestones and achievements of the past financial year and the future directions, outlined in the strategic plan 2011 Towards Tomorrow, delivered by the President, Bruce Rosengarten and the Chief Executive Officer, Bill Appleby at Jewish Care Victoria’s AGM. A thought-provoking panel discussion on ‘Ageing and Caring for Older Australians’ followed, professionally hosted by ABC Radio National Broadcaster and Journalist, Peter Mares. Distinguished panelists included Prof. Andrew Markus of the Australian Centre for Jewish Civilisation at Monash University and principal author of the ‘Report on Older Australians’; Susanne Macri AM, Former Associate Commissioner, Productivity Commission – Inquiry into Caring for Older Australians; and Gerard Mansour, CEO, Aged & Community Care Victoria (ACCV). • How will we care for our ageing population? • Who will provide the care? • How will residential and community aged care be funded in the future? • What are the economic implications of ageing? • What are the implications for the ageing Jewish community? • What housing options will be available for the aged? • What effect an ageing population will have on our future workforce requirements of the aged care sector? Susanne Macri shed light on the government initiatives through the Productivity Commission’s comprehensive inquiry into Australia’s aged care arrangements. Ms. Macri highlighted key recommendations and the looming demographics of ageing: the fact that the recent Intergenerational Report forecasts that by 2050, nearly 25% of Australians will be over 65, compared with 13% today. “This trend will happen much earlier in the Jewish community, and other post second world war migrant communities,” responded Prof Markus, who states in his Report that in Victoria and NSW, more than 18% of the Jewish population are aged over 65, in contrast to the general community with 13.5% (figures based on the 2006 Census). As a result of the ageing population, Australia’s Jewish communities have some exciting challenges ahead in the provision of senior services. Ms. Macri also mentioned the Productivity Commission’s report focus on the need for services that empower the older person, offering flexibility, choice, access and long-term sustainability. The recommendation is a move to a more consumer-based, flexible, entitlement based system. The panelists agreed that the majority of members of any community would prefer to stay at home in their elderly years and be supported by aged care services if the need arises. Also, “healthy ageing is an important issue going forward and how we look after people; encourage independence; self determination and social connectivity,” said Ms. Macri. “There’s a real need to grow capacity within Jewish Care to support people’s desire to remain living independently in their homes for as long a possible”, says Mr. Appleby. 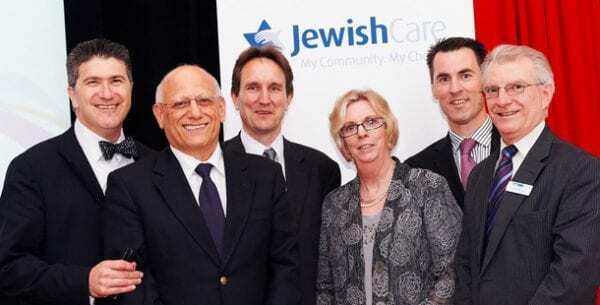 “Jewish Care is expanding its carer support programs, community services, respite options, as well as our Healthy Ageing Programs to support people to remain healthy, happy, informed and connected. Ms. Macri highlighted the major issue of the workforce, specifically the formal sector including nurses, personal care assistants and other allied health professionals. The panel agreed that the Government needs to address this issue and find innovative ways of recruiting and retaining skill staff within the sector, making it an industry of choice. “We are striving to meet the demands and expectations heading towards 2030, and improve the provision of our culturally-specific services, with the complexities of an ethnically and religiously diverse community. We are very aware that meeting these distinctive needs means fully understanding shifts in government social policy and adapting our environments, resources and services appropriately for the evolving community. “Jewish Care is passionate about taking the steps needed to be prepared for what lies ahead. Knowledge is an expensive investment, however ignorance is unaffordable” said Mr. Appleby, in closing the discussion.